There's a level of dramatic irony to the fact that Watch Dogs - a series all about security, hacking, and the information era - isn't very good at keeping its own secrets. We've been hearing rumours for some time now that Watch Dogs 3 is going to be set in London, and likely releasing later this year, but the newest leak all but confirms it. The latest gossip comes by way of a 4Chan post from an anonymous poster, and has since been corroborated by Kotaku's Jason Schreier, stating that the sequel to Watch Dogs 2 will take place in an open world London, stars a new character that players can choose as male or female, will more strongly emphasis hacking over combat (but features small firearms and melee weaponry), and is coming out in 2019 to replace the lack of an Assassin's Creed release. The 4Chan post also suggests that the next Assassin's Creed game is codenamed Legion, and set for a 2020 release on both current gen hardware and the PS5 and Xbox Project Scarlett. It'll apparently be an Assassin's Creed Odyssey style RPG set in Italy "at the end of reign of Marcus Aurelius", but Schreier has since suggested this part of the gossip isn't true. 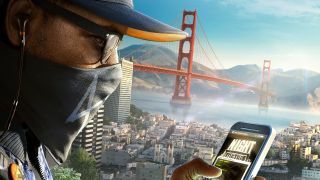 The Watch Dogs 3 information, however, sounds accurate, especially as it follows another recent rumour that the game will be coming to next gen systems as well as the PS4 and Xbox One, while Ubisoft confirmed years ago that the sequel was in development, and will be the first to take place outside the United States. Given that E3 2019 is only months away, we'll likely hear more about Watch Dogs 3 very soon, provided no more leaks give anything else away in the meantime. We'll keep you posted here on GamesRadar when we learn anything more. Beyond the whispers and hearsay, here's all the confirmed new games of 2019 to get excited this year.